Thorsten van Elten invited Ed Carpenter to contribute to a series of well-considered souvenirs, commissioned by CREATE, the East London creative agency, to celebrate the diversity of London in 2012. Ed Carpenter designed this set of East End Badges, and asked Studio Eger to collaborate with him on the copywriting, type-setting and colours. 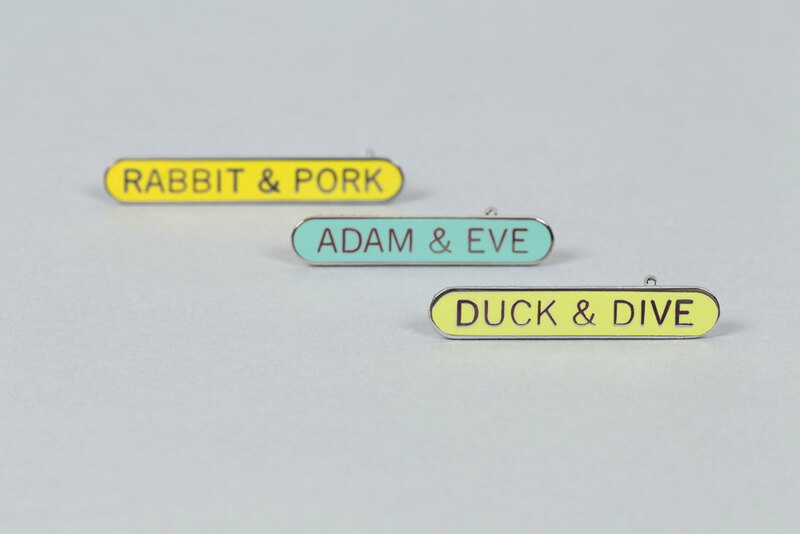 The series of coloured enamel badges are sold in sets of three with a postcard explaining the dying art of Cockney Rhyming Slang.